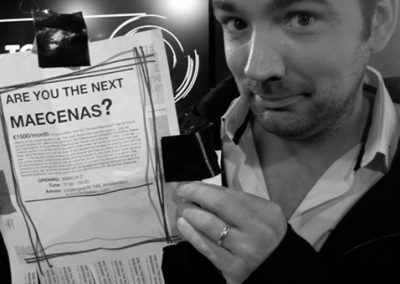 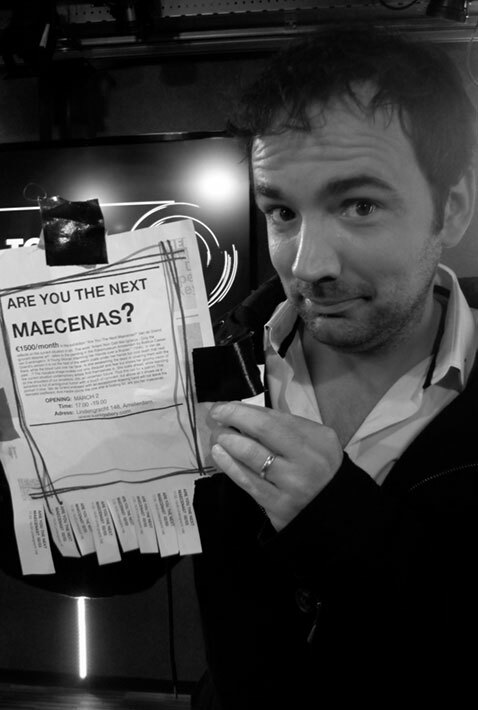 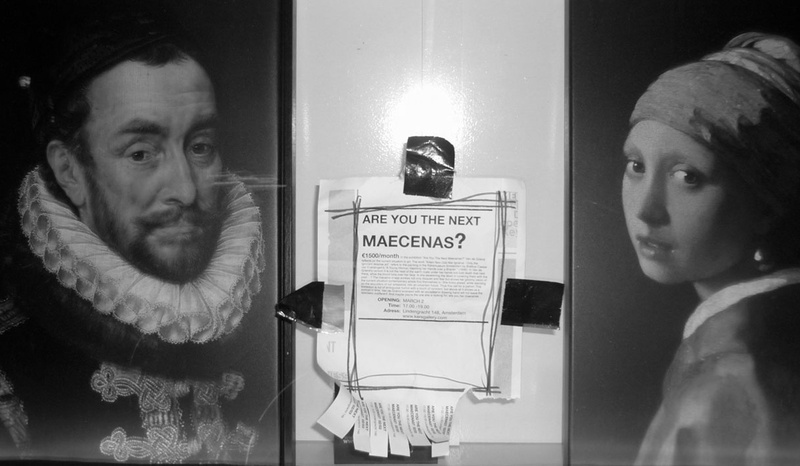 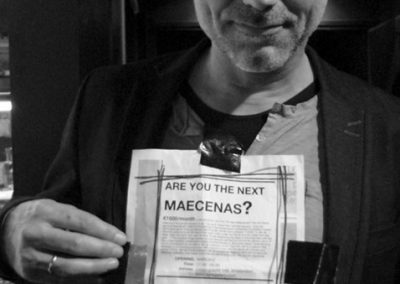 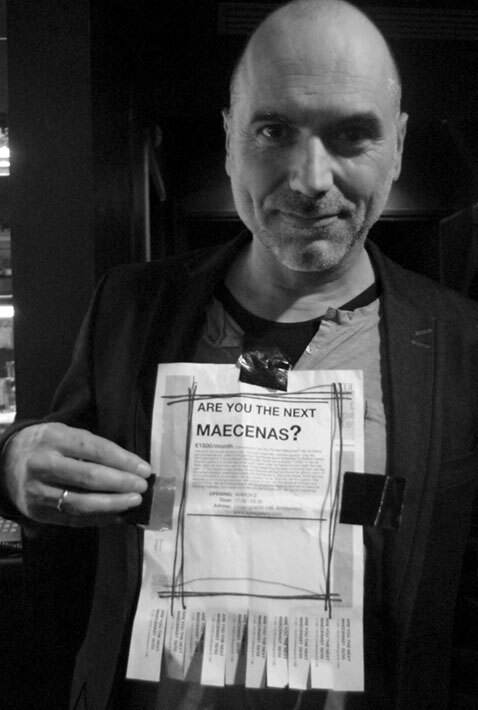 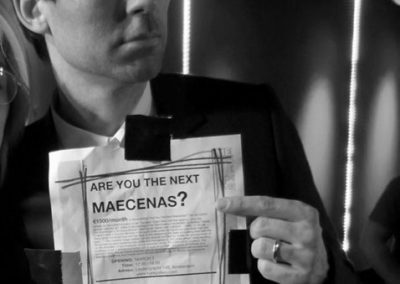 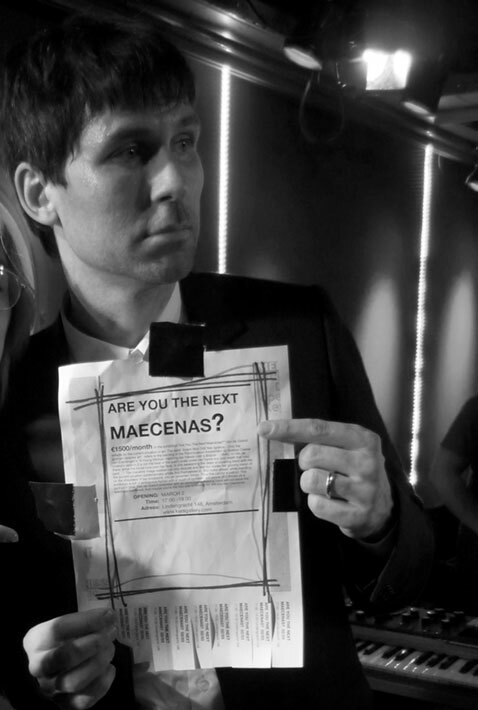 ARE YOU THE NEXT MAECENAS? 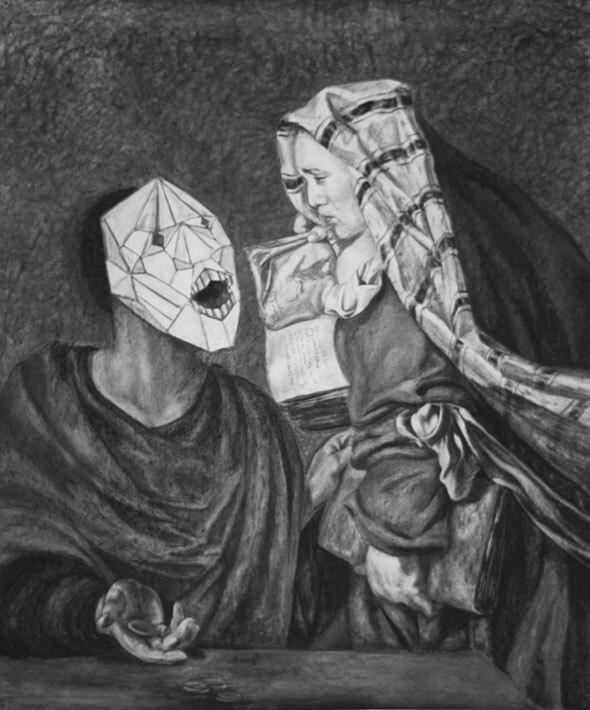 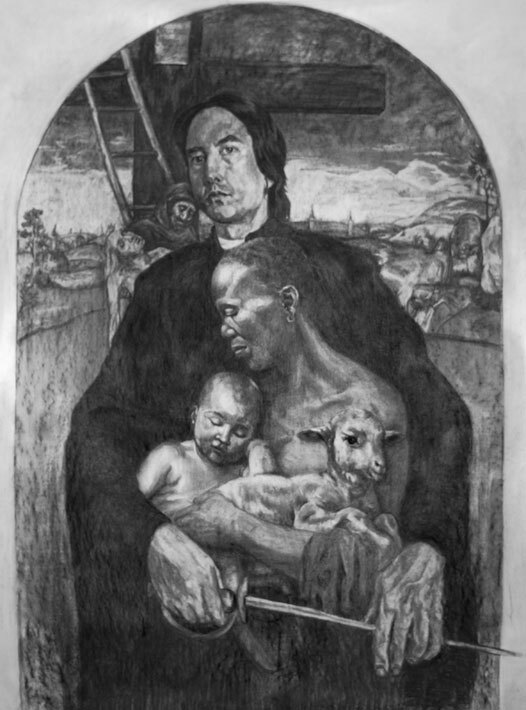 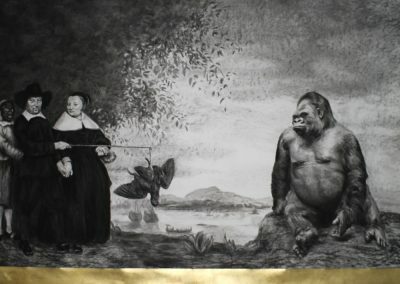 is a series of large charcoal drawings that questions the current situation in the Art World from the point of view of the artist. 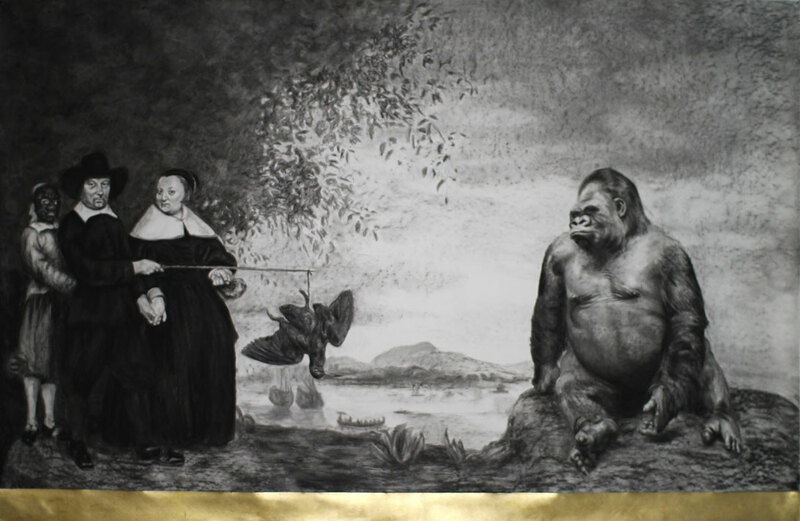 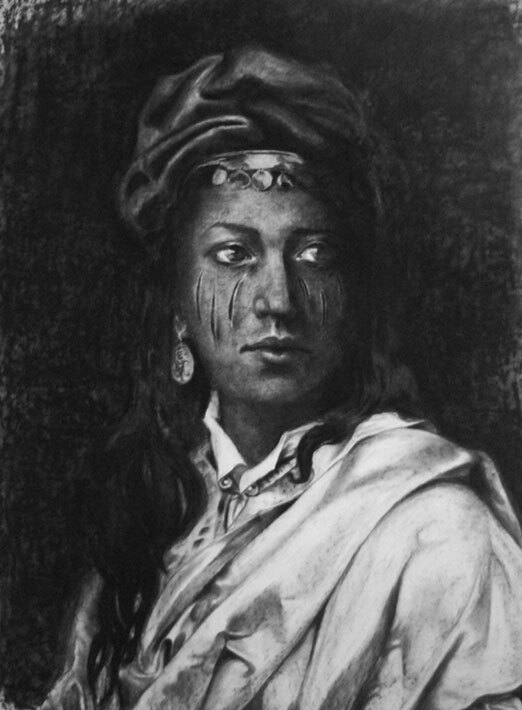 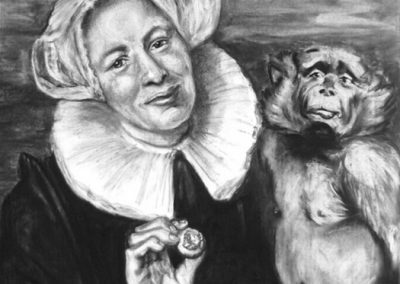 Van de Griend questions the position in which she stands today as an artist and draws parallels to the Dutch Colonial past in its Golden Age of art. 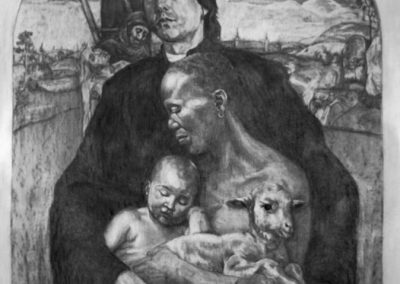 This artist is not afraid to confront and engage the audience as she gives us a view inside of her own world. 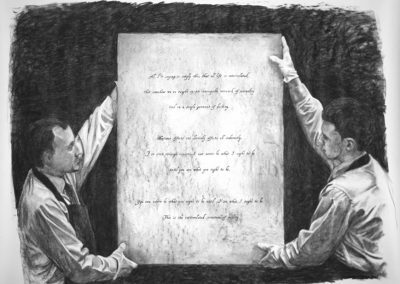 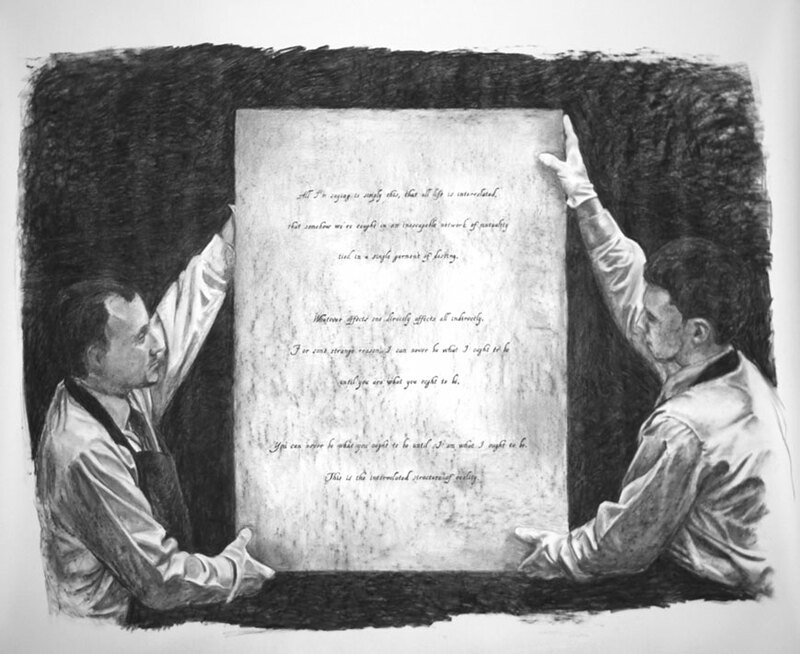 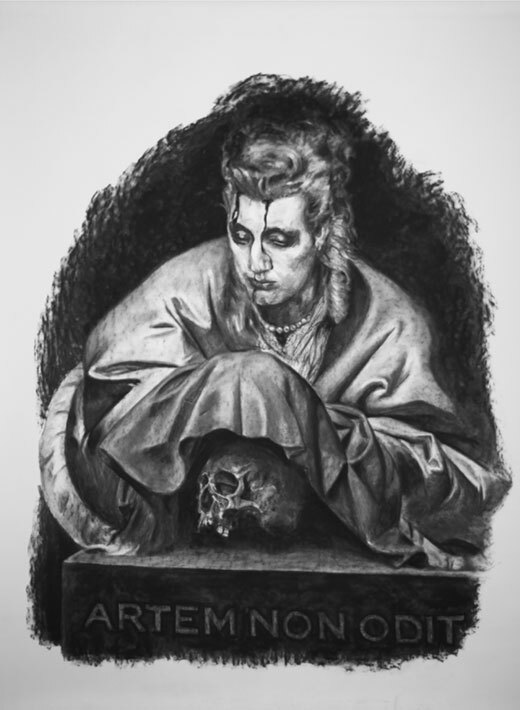 As we can see in the artwork, with the Latin phrases ‘Artem Non Odit, Nisi Ignarus’ (Only the ignorant despise art) Van de Griend engraved latin words in stone on this large self-portrait in charcoal. 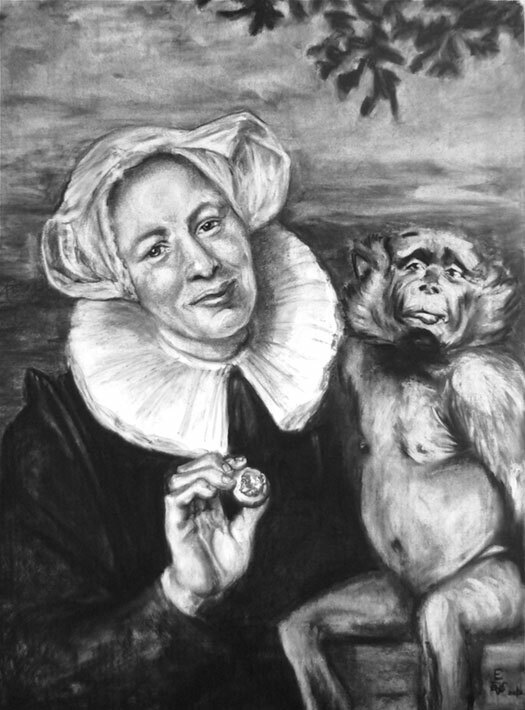 Inspired by the painting ´Allegory of Winter´ 1644 by Caesar Boetius van Everdingen of a young woman who warms her hands above a dish of glowing coals. 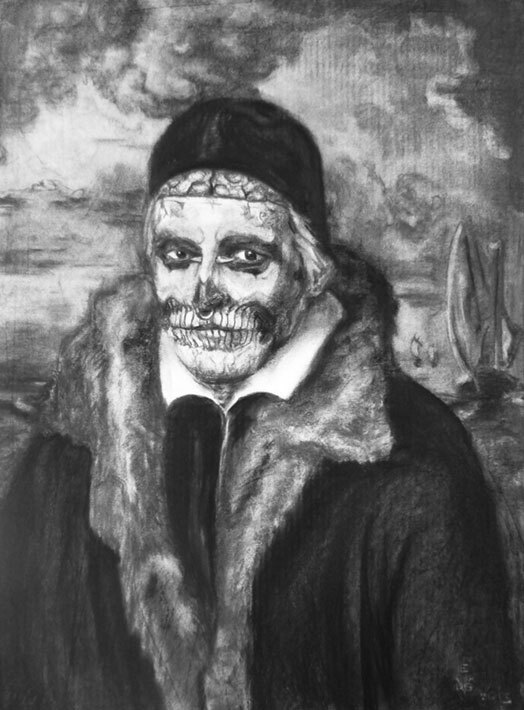 In Van de Griends version The dish of coals is replaced by a Skull. 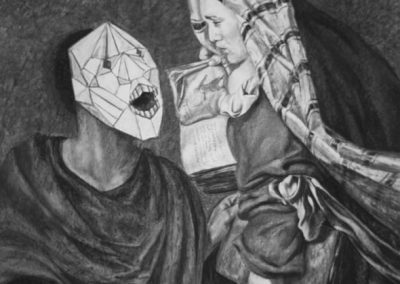 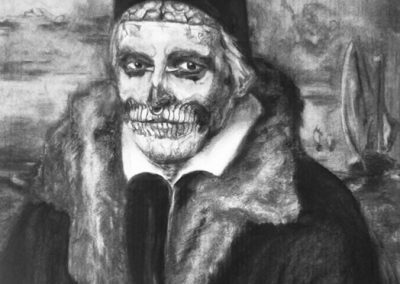 Is the artist covering up or revealing the skull underneath her hands… ? 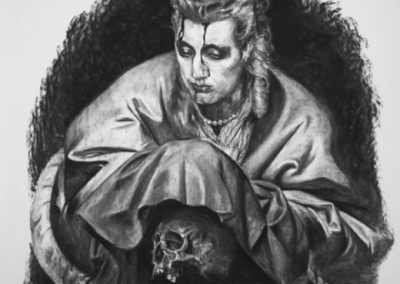 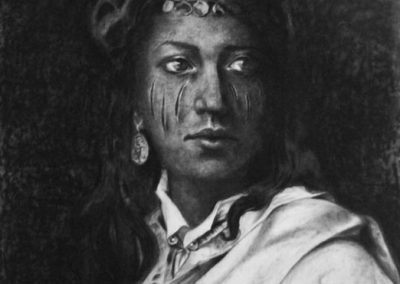 The fabric in this drawing seems soft to the touch, but is that blood running over her forehead? 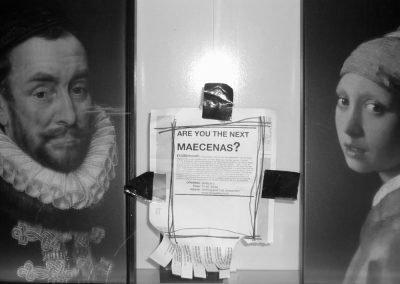 Is this a plea to bring back the Maecenas, before it is too late?